Earlier this month, Chase launched a limited-time 60,000-point sign-up bonus offer on the Chase Ink Plus. That’s 10,000 points more than the normal sign-up bonus, and you are only required to hit the same minimum spending of $5,000 within 3 months of account opening. Here is a quick video in which I explain just what makes this card, and this specific offer, so appealing. Then read on below for more details about all the great benefits it includes. Current Bonus: 60,000 points after spending $5,000 in 3 months. Benefits: Earn 5 points per dollar at office-supply stores, and on cell phone, land line, internet and cable TV services (for up to $50,000 in spending annually). Earn 2 points per dollar spent at gas stations and on hotel accommodations (again, on up to $50,000 in spending annually). No foreign transaction fees. Ability to transfer points to 11 travel partners, including United, British Airways, Southwest and Hyatt. This business card comes with some fantastic benefits, including 5x and 2x category spending bonuses and the ability to transfer points to any of Chase’s 11 travel partners. 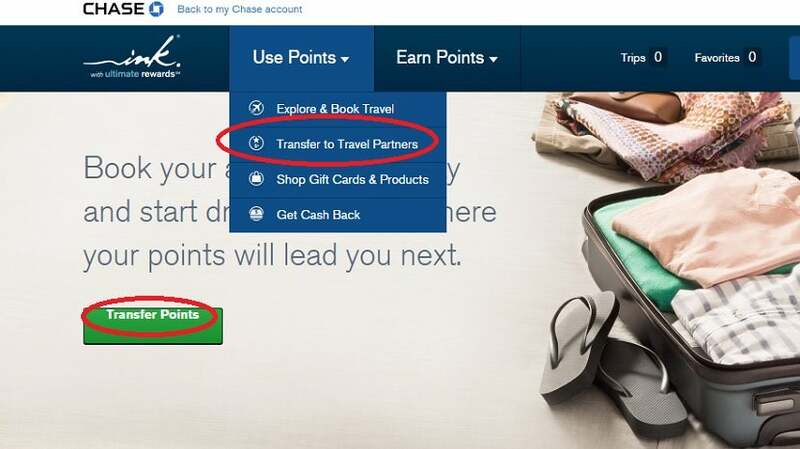 Additionally, you can use points to book travel directly through the Chase Ultimate Rewards Travel Portal at a rate of 1.25 cents per point, so the sign-up bonus alone is worth at least $750. However, thanks to their versatility, I actually value Ultimate Rewards points at 2.1 cents apiece, so I would put the sign-up bonus at about $1,260 in value. The ability to transfer Ultimate Rewards points to Chase’s 11 travel partners makes them very valuable. Normally Chase offers a sign-up bonus of 50,000 points for Ink Plus, and waives the $95 annual fee for the first year. So the main difference between this offer and the usual offer, aside from the higher bonus, is that the $95 annual fee is not waived. You could think of it as paying an extra $95 for 10,000 Chase points, which is worth it in my book, since it’s effectively like buying Chase points at under a cent apiece. While some people might prefer to have the fee waived, I’d take the extra bonus points, and think this is a great reason to get the card now if you’ve been considering it. Current Bonus: $500 cash back after spending $3,000 in the first 3 months after account opening. Other Benefits: Earn 5% cash back on the first $25,000 spent annually at office-supply stores, and on cellular phone, landline, internet and cable TV services. Earn 2% cash back on the first $25,000 spent annually at gas stations and restaurants, and 1% cash back on everything else. This card comes with a 0% introductory APR on purchases and balance transfers for 12 months; then 15.24%–21.24% (variable). Though the Ink Cash is a cash-back card, like Chase Freedom, it earns Ultimate Rewards points that you can then transfer to the program’s 11 transfer partners if you also have either the Chase Sapphire Preferred or Ink Plus. For more info about how to maximize these rewards, check out Jason Steele’s recent post about Why Chase Freedom Isn’t Just Another Cash Back Card.